There is mostly good news this flu season. As we head toward its peak, the number of cases is down from last season and the predominant strain so far reported is among those targeted in the available vaccine. The bad news: Only about one in three adults upstate gets a flu shot. “Your decision to skip the flu vaccine could result in you being a person who spreads the virus,” said Dr. Richard Vienne, vice president and chief medical officer of Univera Healthcare, which released a survey at the start of the flu season that found a nearly 67 percent adult noncompliance rate. 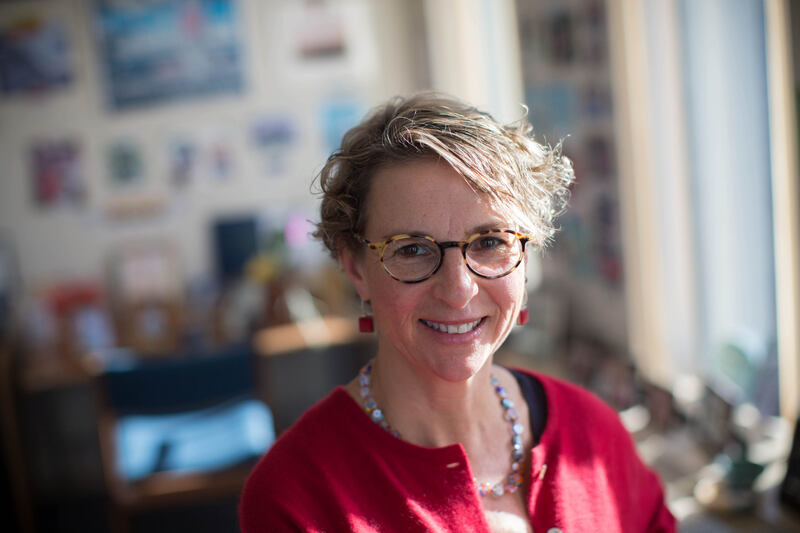 “For young children, the elderly, and people with compromised immune systems, the flu virus can be deadly, and it isn’t always obvious who among us is most vulnerable,” Vienne said. Influenza is highly contagious. It also can kill. An estimated 80,000 people died from the flu and its complications last flu season across the United States – the highest number in 40 years – according to the federal Centers for Disease Control and Prevention. The CDC estimates more than 6 million people have been sick with flu so far during the 2018-19 flu season; as many as half sought medical treatment and up to 84,000 people so far have been hospitalized. Since the latest season started in October, one child and 150 adults have died in New York State from pneumonia and flu-related complications, the state Health Department reported earlier this month. There were 3,795 lab-confirmed cases statewide as of Jan. 12, department officials said in the latest weekly report, including slightly more than 100 such cases in Western New York during the week leading up to that date. Dr. Gale Burstein, Erie County health commissioner, said that number is but a small fraction of actual cases. This is because “rapid testing” done in primary care offices, urgent care centers and emergency rooms is not reported to the state, only tests conducted in selected clinical laboratories. Many healthy people who get the flu also handle their care at home without visiting a health care provider, Burstein said. These surveillance numbers are designed to show trends – and what they’ve shown in the state and region is that the number of flu cases is down from last year but has climbed each week since early October, picking up steam in mid-December. Lab-confirmed cases have given Burstein and other public health officials hope as the season progresses because they suggest that most cases involve the Influenza A H1N1 strain of the virus, one of the three to four inactive strains included in several forms of the flu vaccine available this season. The latest report from the federal Centers for Disease Control and Prevention shows that nearly 90 percent of lab-confirmed cases nationwide have involved the strain. 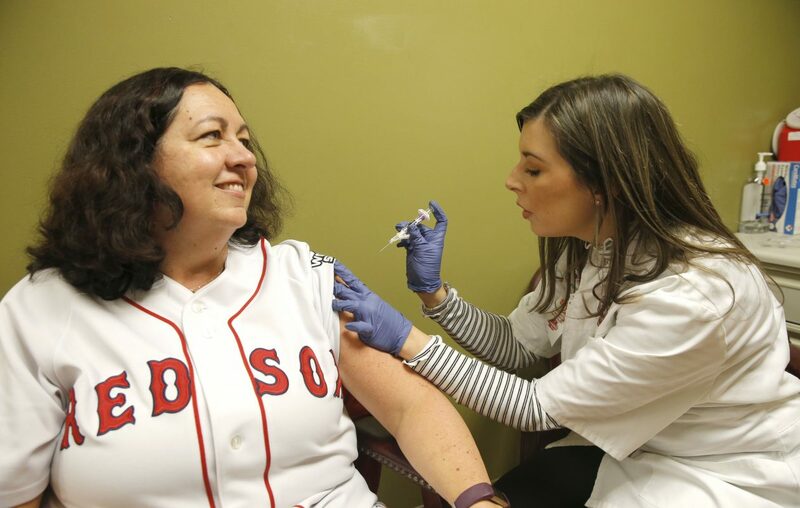 "Later in the season, usually in March, is when we start to see a higher proportion of Influenza B,” Burstein said, which is why it's still too early in the flu season to gauge the effectiveness of the current vaccine. Last year’s strains missed the mark with an estimated 40 percent effectiveness, but the CDC reports that those who get immunized tend to get milder, shorter-lived symptoms even in such cases. "We strongly anticipate that the vaccine will be much more effective this year compared to last year, where the strains were not a very good match,” Burstein said. “Right now, one of the predominant strains has a good cross-match with the vaccines, so we're hoping more people who are immunized are fully protected." Flu season generally stretches well into spring – and some cases are reported during the summer – so the likely greater effectiveness is one reason those who’ve so far gone without a flu shot should get one, the health commissioner said. Another reason? Those who do so will limit the prospect of spreading the flu virus to children under 6 months old – who should not be vaccinated – as well as other children, the elderly, and those with compromised immune systems at greater risk of complications from influenza. Perhaps the biggest reasons, however, is that the flu can take even the healthiest person down for more than a week and, in some cases, result in serious illness, or death. "We know that 80 percent of people who die from influenza complications have not been immunized," Burstein said. "The flu is pretty miserable,” she added. “If you've spoken to anybody who fell ill with influenza, they'll tell you how terrible it was. They feel like they've been run over by a train. It's not just the symptoms. This is a viral infection of your whole body. People are really weak, they're tired. The virus is draining, and it will take a while to fully recover." A case of influenza generally starts with a runny nose, fever and cough, the latter of which can become persistent. Aches and pains come as the virus progresses. Soreness can crop up in muscles, joints and bones. Many sufferers get headaches and lose their appetite. Some get diarrhea. Those with risk factors for complications should call their health care provider, or visit an urgent care center or emergency room, as soon as symptoms appear and start to worsen. They can receive one of several influenza anti-viral medicines. "It's not an instant cure," Burstein said, but can shorten the course of a flu illness and tamp down symptoms. Get the flu vaccine. The CDC recommends all but those younger than 6 months old get immunized. This not only will help protect you, but those around you. Even those who are healthy, with no known risk factors, can become ill to the point of hospitalization, Burstein said. Eat right and get plenty of sleep – seven to eight hours for adults, an hour or two more for children. When coughing, cover your mouth and face with the crook of your arm or elbow, rather than a hand. Someone who believes they have the flu should practice "social distancing." In other words, stay home from work, school and other public activities.